Our online service appointment solution reduces time spent on phone calls by allowing your customers to schedule their own service. 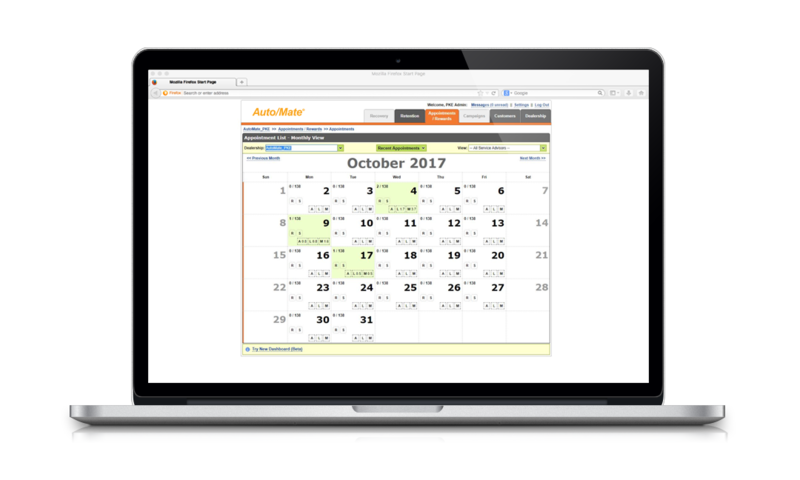 Auto/Mate’s Rev/Mate module allows your customers to schedule service appointments and track their service history themselves. 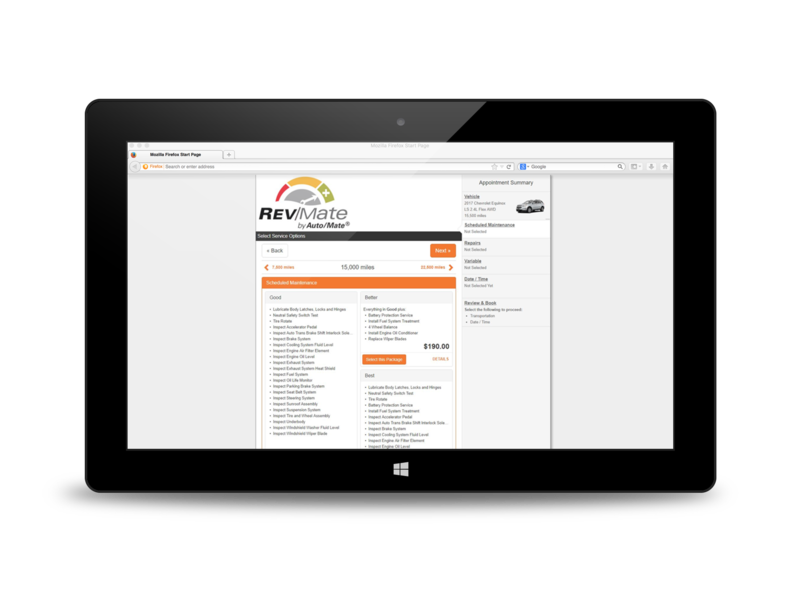 Rev/Mate also displays factory-recommended maintenance in a clean and easy-to-read menu that gives your customers good, better and best comparisons of everything they need to maintain their vehicles. Increase your hours per RO and gross profit with this user-friendly module that fully integrates with the DMS. Integrate online appointments directly into the DMS. Never leave the DMS. Keep track of all of your service appointments and recommended maintenance right inside the Service Merchandising Module. Not to mention, you’ll never have to manually enter appointment info into Auto/Mate when you convert an RO to a work-in-progress. Factory-recommended maintenance with ability to add dealership recommendations. Want to provide your customers with an interactive menu that shows them recommended factory maintenance? You can accomplish this with good, better and best scenarios with pricing for all factory makes and models. 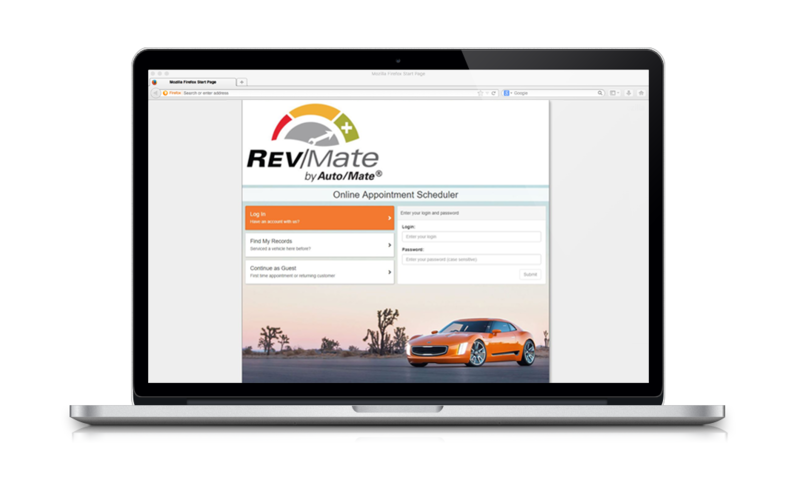 This customer-friendly feature of Rev/Mate also gives you the ability to integrate recommended maintenance into your website and mobile devices used in the dealership. Streamline service scheduling, prevent overbooking and have work in your shop all day. No more uncertainty about whether your technicians are going to have a slow day with no work. Rev/Mate let’s you know exactly when your customers are coming in and what repairs they’re coming in for. Improve communication with these customers at the same time with email and mobile confirmations of scheduled repairs.